Our Parish mission is to be a community of love, a family, that joyfully proclaims and bears witness to the Gospel, and that serves the poor and one another. 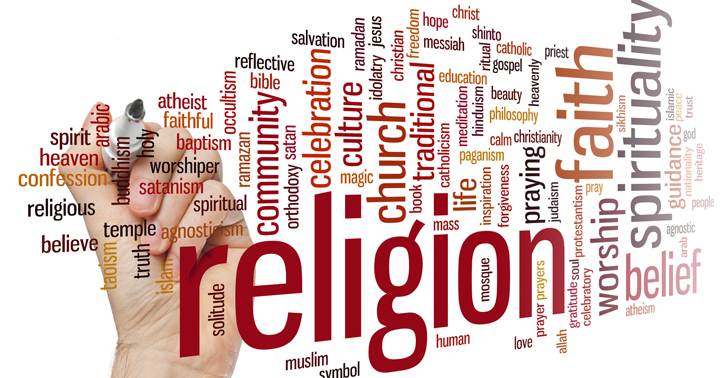 There are no Religious Education Classes this week or next. We will be cleaning Sacred Heart church for Easter on Wednesday after the Novena, approximately 8:30PM and we are looking for volunteers. If you can help just come to the church. The parish office will be closed on Thursday and Friday. If there is an emergency call the main parish number. 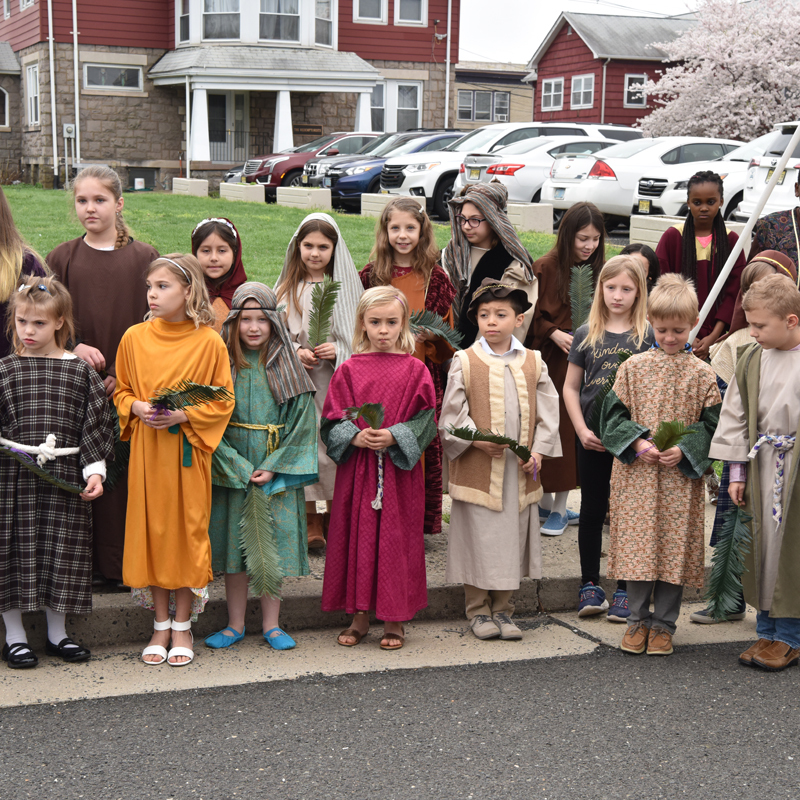 Stations of the Cross for children will be held on Good Friday at 10:00AM in Christ the King Church. All children who are participating should be there at 9:30AM to get their costumes. Practice will take place on Wednesday from 4-5PM. The schedule for Holy Week and the Holy Triduum is inserted in the bulletin. Please make every effort to attend the special services, most especially the Triduum of Holy Thursday, Good Friday and Holy Saturday. We are looking for volunteers to present our video reflections on our website. If you are interested please see either Deacon Tom or Deacon Bill. The Altar Rosary Society bake sale is being held in the entrance to the auditorium at Sacred Heart and in the vestibule at Christ the King. Stop by and pick up some goodies or make a donation. Pierogi are also on sale at the Sacred Heart bake sale. The sick and homebound will be visited Monday & Tuesday of Holy Week instead of First Friday. Thank you for your contributions. Last week, our collections totaled $14,031.00. The second collection today will be for the retirement for priests. Please be generous. It has come to my attention that someone has again been using my name to unlawfully solicit funds. If someone contacts you in my name, please contact the Manville Police department or the parish office. I do not solicit funds either by text or email. 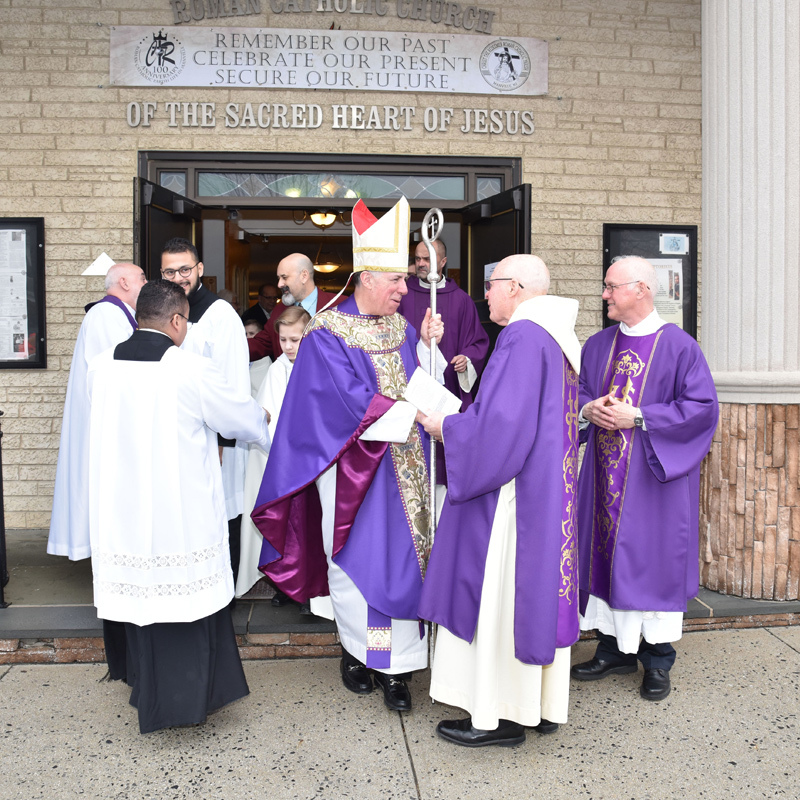 With the celebration of our Parish Mission on March 2-8 and the 100th Anniversary of Roman Catholic Parish Life in Manville Liturgy on March 10th, the forty days of Lent have gone by quickly. Now that Holy Week is upon us, I am hoping that it will pass a little more slowly. This week is the most important on the Christian calendar. We should step back from our usual busyness and spend more time praying about and reflecting on the saving mysteries of our redemption—the passion, death and resurrection of our Lord and Savior, Jesus Christ. The observance of Holy Week begins with Palm Sunday. The blessed palm branches, should be taken home and hung by the family crucifix as a reminder that we proclaim Jesus our Savior. Every Catholic home should have at least one crucifix prominently displayed as a sign of our Faith to all who enter. On Holy Thursday, the Sacred Triduum begins (Latin “Triduum” means “three days”) There is only one Mass in the parish on Holy Thursday so that we can all celebrate the Eucharist together. This Mass stresses our gratitude to Jesus for the great gifts of the Eucharist and priesthood. It also stresses our service to others. On Good Friday, God brought us salvation through the sacrifice of His Son. The church remains dark and the tabernacle empty. We commemorate the sacrifice of Jesus on that evening by reading St. John’s account of our Lord’s passion and death. Then, we Venerate the Cross. Through his Passion, Jesus teaches us to recognize others suffering, to affirm their dignity and to help unburden their crosses. On Holy Saturday, from 9am till 3:00pm, we adore Jesus in “the tomb” and bless the food on the top of the hour. The custom of blessing food for Easter arose from the discipline of fasting throughout Lent and the special Easter fast during the Easter Triduum. Easter was the first day when meat, eggs, and other foods could again be eaten. The Sacred Triduum comes to a joyful climax with the Easter Vigil Mass which is offered after sunset on Holy Saturday. In the mystery of this most holy night, the candle is a pillar of fire. The font is the cleansing water of salvation. And the altar is our banquet, a eucharistic feast before the Lord, our God. The Holy Week services provide us with an opportunity to remember and give thanks in an especially beautiful and moving way. So I encourage all of you to come to the Mass on Holy Thursday and to the Good Friday service. 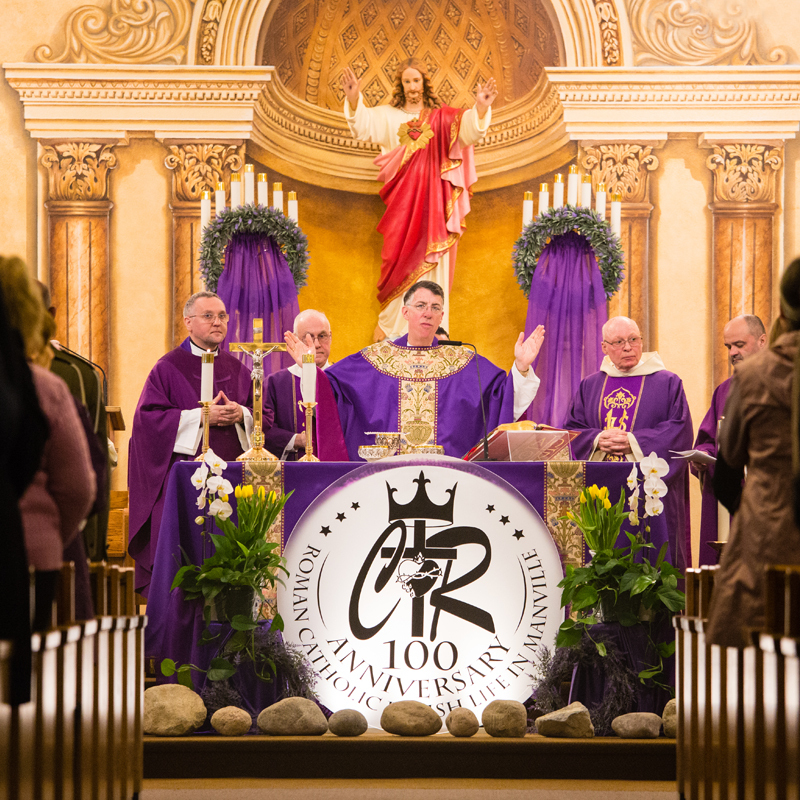 Although there is no obligation to attend, these are truly the high holy days of our Catholic faith. Could anything else you want to do on Holy Thursday and Good Friday evenings be more important than spending a little time thinking about what our Lord Jesus went through for our salvation? Participating in the liturgies of Holy Thursday and Good Friday also deepens our joy when we celebrate the greatest of all feasts, Easter. Please come to our Holy Week services and mark our centennial celebration with passion for Christ the Redeemer to “Remember our past, celebrate our present and secure our future”. They are guaranteed sources of graces and blessings. May God bless us as we begin to accompany Jesus through the memory of his Passover journey. 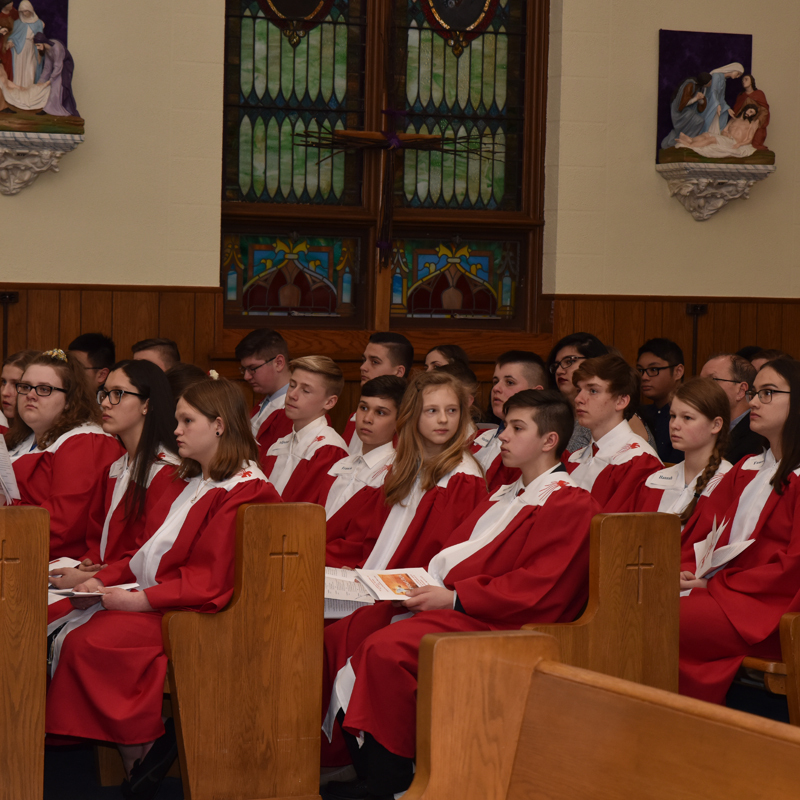 Registration for Religious Education Program of the Catholic Community of Christ the Redeemer Parish for the school year of 2019/20 just started. A high-quality Crucifix is available as a remembrance of this centennial anniversary. 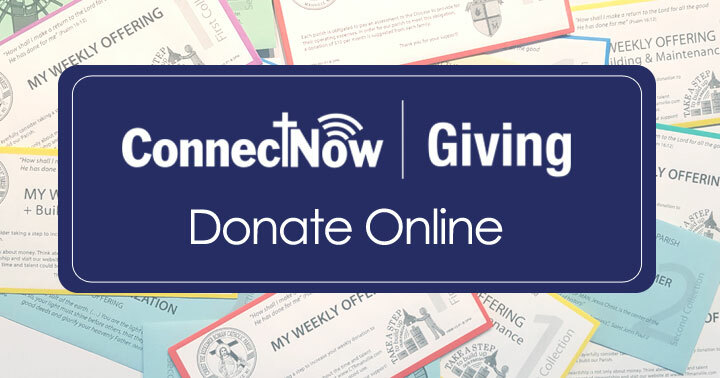 We are excited to inform you that we now offer ConnectNow Giving! Roar...Summer Camp! Mark your calendars and save the dates: July 8-13. The theme for this year’s Summer Camp is........Roar! Life is Wild. God is good. 🦁 We are going to have so much fun!!! Joseph F. Samec, 78, passed away peacefully on Monday, March 18, 2019 at New Eastwood Rehabilitation in Easton, Pa.
Michael Brandt, 36, died on Tuesday, February 5, 2019 at RWJ of Somerset.